While working to earn a Master of Science degree in Land Development at Texas A&M University I bought my first Macintosh—a Fat Mac 512K enhanced. 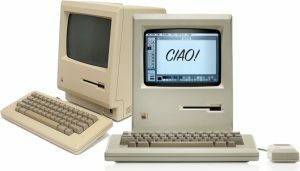 Finally, a computer for non-programmers, the Mac opened up creative minds to tasks beyond a computer’s ability to rearrange bits and bytes. This original Mac, years later, would inspire the construction of a Macquarium. Numerous Macs have served as productivity tools in my design, engineering and marketing professions. I also operated an information systems consulting business and held an Authorized Apple VAR (Value Added Reseller) certification.